Like lots of ladies, I love shoes. Shoes of all kinds feature in my collection, but heels are my stand out favourites. I wear heels most days to work and rather than having just one pair of “work shoes”, I operate on the principle that by having a few pairs I rotate around, I extend the life of all of my shoes. I hate finding the perfect pair of gorgeous, reasonably comfy heels, then watching them slowly disintegrate with every wear. 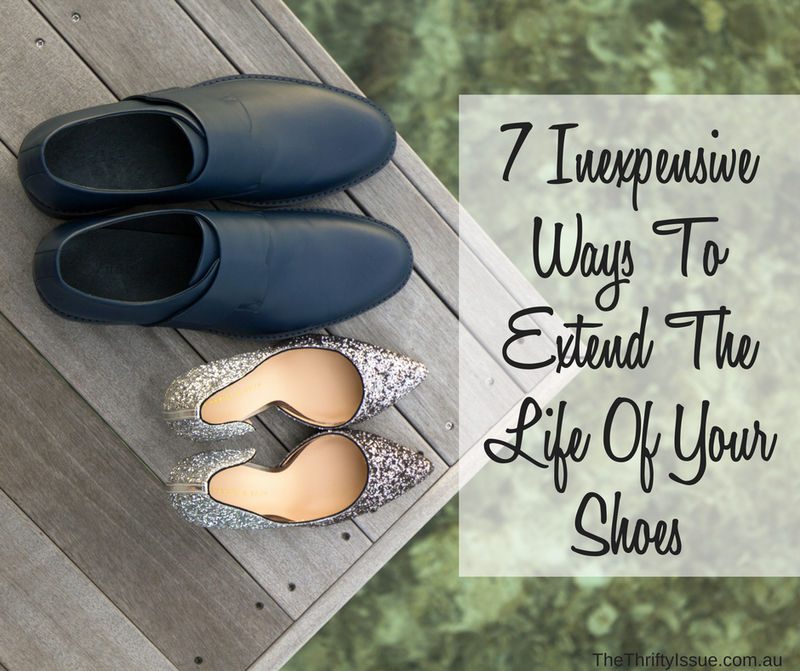 Over the years I’ve come across a few cost-effective tips for protecting my shoes, which extends their life and saves me money as I don’t need to replace them as often. When you buy a pair of heels you love, one of the options you have is taking them to a shoe repairer and getting them to add a rubber half sole (approx $30). These rubber soles withstand significant wear and tear as well as making your heels far more slip resistant. When the rubber sole starts to wear down, you can have it replaced time and time again. If you’re only interested in protecting the sole of your shoe from scrapes, scratches and dirt, you can buy adhesive covers that stick to the bottom for about $10. These tend to be more a cosmetic thing, however, rather than adding any life to the shoe. pick it up at a health food store or local markets for less than $10. canvas shoes like Converse etc). The commercial sprays are quite good, especially for when you are short on time, remember to respray regularly. Expect to pay about $15 to $20 a can which will last a few pairs of shoes or resprays. Whatever method you choose, for best results, you should repeat it at the beginning of each wet season. After having your heels awhile, you might notice that the plastic caps on the heel itself are starting to wear down. Take these to your shoe repairer and they will replace for about $10. If you don’t you’ll find yourself happily walking along one day and suddenly have a leg shoot out from underneath you. Those heel caps protect a metal spike. Metal and smooth shop/restaurant floors do not mix! Sadly I speak from experience in this regard. One thing I am absolutely religious about is conditioning my standard leather shoes, particularly my boots (again, not suede or pony skin). At least once a year I drag all my shoes out of their boxes, put a movie on and sit there and condition the leather with a commercial conditioning cream (about $20 a tube but lasts forever). You rub it in then buff it off. Ridiculously simple but is probably the most effective thing you can do to lengthen the life of your shoes (and handbags and belts). Don’t kick them off into the bottom of your cupboard when you are finished with them. Store them neatly, preferably in a box where they are not going to rub against each other. If you have long boots, use a pool noodle cut in half to help them keep their shape. Try not to wear the same shoes every day. By rotating your shoes, you give each pair a chance to air our a little. Polish your shoes as needed. Check them all over as you do to see if there are scuffs and look for other wear that may need repairing soon such as replacing the heel caps. 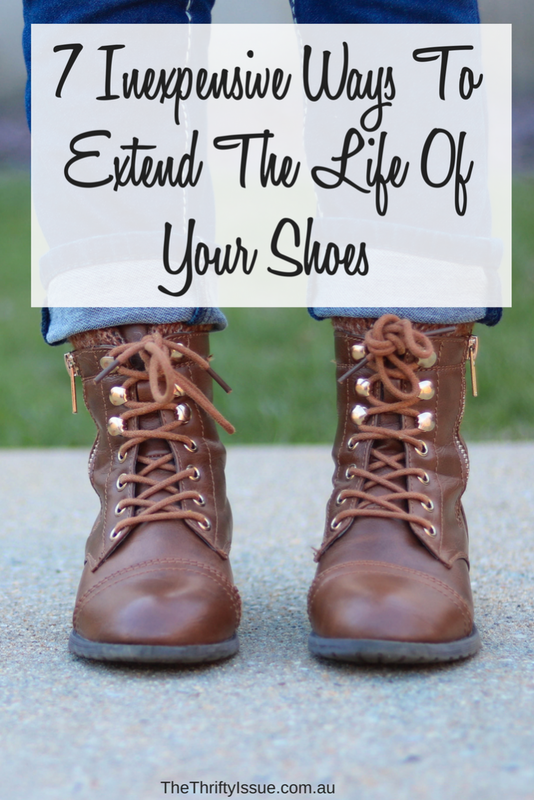 What do you do to extend the life of your shoes?